ReliaMed Transparent Thin Film I.V. Dressings can be compared to Smith & Nephew products. This transparent thin film I.V. dressing is a semi-permeable, sterile polyurethane film with non-sensitizing adhesive. 2 3/8 in x 2 3/4 (6cm x 7 cm). Ref # ZDTF238234. Box of 100. ReliaMed Transparent Thin Film I.V. 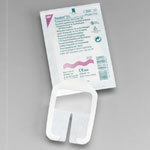 Dressings can be compared to Smith & Nephew products. This transparent thin film I.V. dressing is a semi-permeable, sterile polyurethane film with non-sensitizing adhesive. It has an impervious barrier to moisture, dust and bacteria. Permeable to water vapor. For use with low exuding wounds; superficial pressure ulcers; closed surgical wounds; and as a protective wound dressing on minor abrasions. 2 3/8 in x 2 3/4 in (6 cm x 7 cm). Ref # ZDTF238234. Box of 100. Semi-permeable, sterile polyurethane film with non-sensitizing adhesive. Impervious barrier to moisture, dust and bacteria. 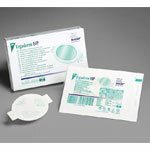 ReliaMed medical products are made to meet the highest standards of quality and design. 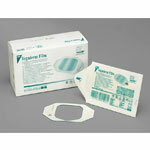 Their products are comparable to leading name brands such as Smith & Nephew. By controlling their marketing expenses, Reliamed is able to provide quality medical products at reasonable price.